For cadets from Budmouth College the adventure started a little early as the American Airlines Boeing pushed back at Miami after the catering was struck by lightning. As the aircraft taxied to the runway the most violent of thunderstorms erupted over the airfield. There the plane sat for three hours whilst thunder, lightning and accompanying microbursts rolled over. Eventually the captain, now short of fuel to complete the journey, and with no truck willing to leave the safety of the terminal, had to shut down the engines. In darkness and with no air-conditioning, the wait continued as the winds actually rocked the aircraft. Relief came with a take-off through some severe turbulence and the group made it down to Quito. The first phase of the venture involved four ascents of peaks in the Valley of the Volcanos. These climbs were designed to be increasingly challenging in both technical difficulty and altitude. At 4200m Pasochoa is a long extinct volcano whose crater was destroyed in a massive eruption. The route took the group through a primeval forest and onto the knife edge of the remaining summit ridge. Rucu Pichincha (4,698m) is a highly active volcano sitting just above the capital city which it frequently covers with ash. The ascent was undertaken in perfect conditions and as the group approached the summit, the unmistakable smell of sulphur hit hard. The crater’s edge provided some magnificent views of lava within the caldron but approaching storm clouds demanded a hasty descent. A brief rest and the group moved south to tackle Corazon (4800m). This proved a much harder climb in high winds and rain squalls. After a long approach, the summit ridge comprised a scramble through a seemingly endless series of rock falls with dramatic descents available to the unwary. The cadets final challenge lay in Illiniza Norte (5200m) a name derived from the Kunza words for ‘masculine hill’; needless to say the girls were thoroughly unimpressed but managed a magnificent climb again in difficult conditions. The sheer variety and scale of the trails available makes Ecuador a world class venue for mountain biking. The plan allowed the young people to tackle increasing difficult trails at higher altitude as the days progressed. For the first few rides support vehicles were usually available, but this became impossible as the trails became increasingly challenging. The first ride of six hours took them north to Octavalo and along sections of old Inca trails past some very surprised natives. Tandayapa the second trail started with several miles of bone-shaking as they rode along the old wooden sleepers of along abandoned railway. Then miles of tunnels moved them from bright sunlight into darkness. Perucho, the penultimate ride, is a huge canyon offering few opportunities for mistakes. 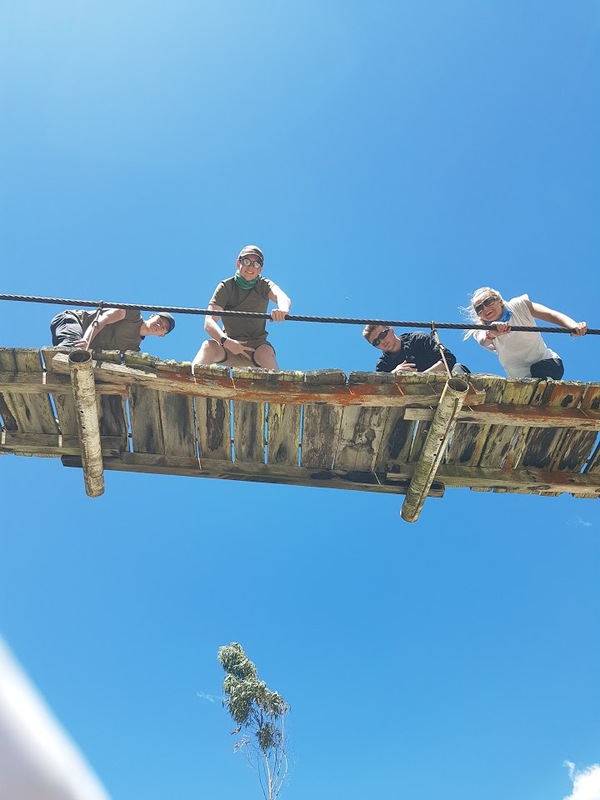 The descent started in sub-zero temperatures but near vertical drops soon took the group through several climatic zones and the river bed proved swelteringly hot. Having survived the descent unscathed, the group then had a five hour ascent to the rim of the canyon only to be set upon by dogs guarding a nearby farmhouse. 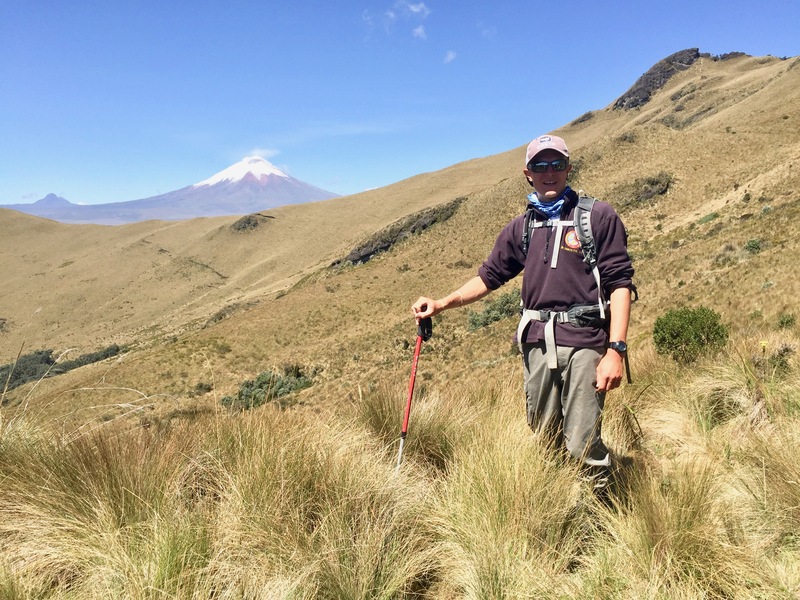 The Quilotoa trail proved a brutal day with eleven hours of near vertical descents and climbs, all at altitude and with few stops ever possible. Unfortunately most descents seemed to end in river beds, so one was left hurtling at great speed and breaking on sand. Needless to say the medics were kept busy throughout the day. The idea of the jungle school was to immerse cadets in the techniques of successful survival. From their base in the High Andes the young people moved east descending some 4000m to the town of Coca on the Napo River. From here on dugout canoes they moved to several jungle camps deep in the Yasuni National Park, one of the most wildlife-rich areas on the planet. Camping in such heat and humidity surrounded by clouds of blackfly and mosquitos provoked a rapid learning process. Once the day’s canoeing was completed, the group took to the river to fish for piranha and pike which were cooked and eaten. As the afternoon heat descended the group moved into the forest to learn and sample edible snails, insect and plants which although not particularly tasty, could support life. Once night had descended the canoes were relaunched to allow the trapping of both caymen – who tended to freeze in the beam of a headtorch – and anaconda which moved to the river banks at night. 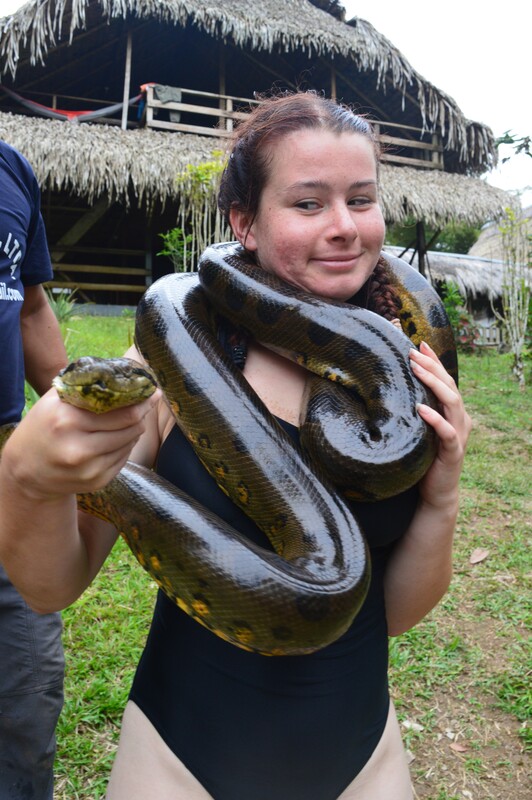 Whilst the caymen were a fairly easy catch, the snake proved a more elusive prey and only one sizable specimen was caught. After a week all had learnt the basics of jungle living and the mental approach so essential for survival. 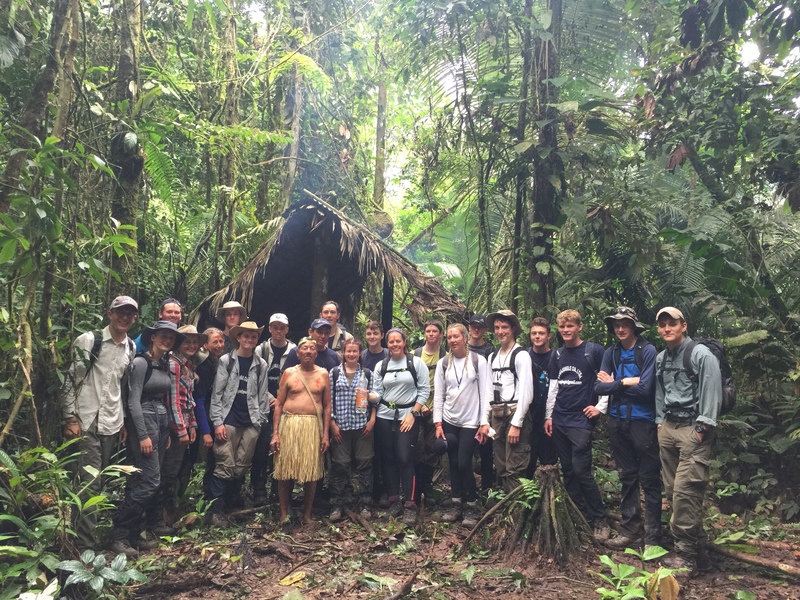 The expedition culminated with a week spent on the Pacific Coast of Manta allowing the group to recover from their brush with nature. As their Contingent Commander it has been interesting observing cadets undertake this venture. To say that they have grown immeasurably would be no understatement. 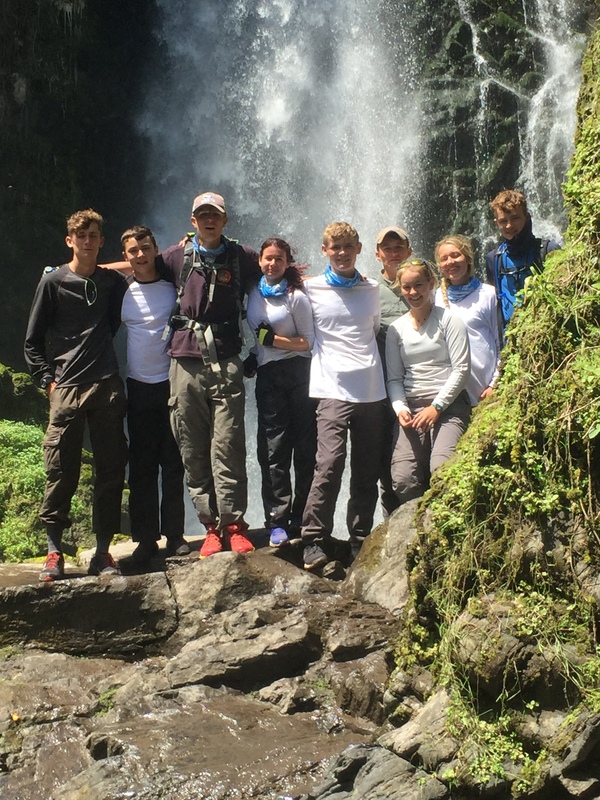 They returned from their expedition as a cohesive group, all totally confident in their role and ambitious to progress. All are staying with the CCF, most will achieve early promotion, they have already generated huge enthusiasm for cadets amongst the student body (the power of social media!) some are now applying for adventure training courses, many will go on to service careers and independent expedition leadership. None of this would have been possible without the support of the Ulysses Trust and I have been asked to relay the thanks of these young people to the Trustees.